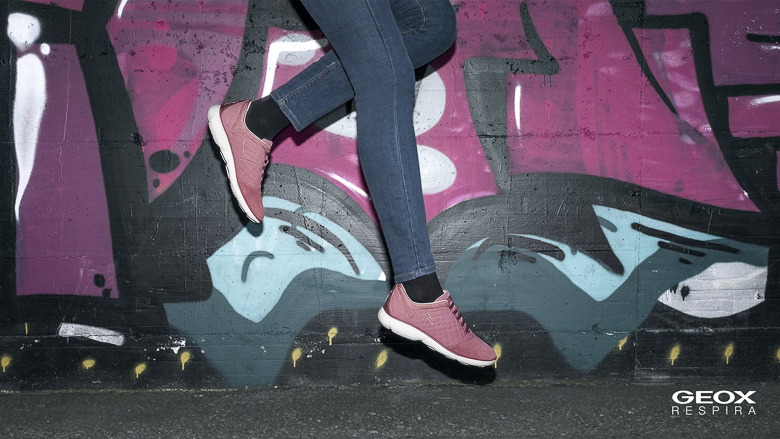 Offering comfort, fashion, classic and casual styles for men, women and children, Geox products are the result of patented research conducted in Italian laboratories and in collaboration with major European universities. Each new collection is created by the best Italian designers. The slogan Geox Respira, meaning “Geox Breathes,” is used throughout the world in presenting Geox footwear and fashion apparel and represents a double soul, made of Italian fashion and technology.